Defamation Law Dilemma: To Protect Reputation Or Silence The Critics? 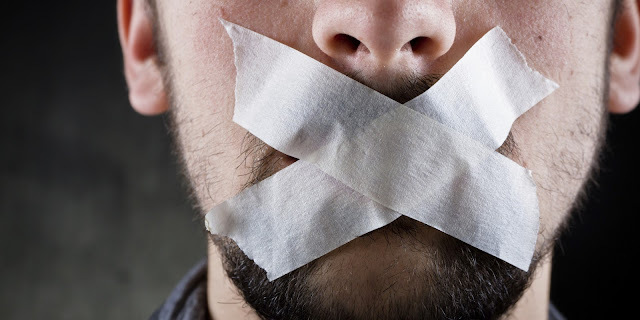 Dont say a words: How Powerful People Use Criminal Defamation Laws to Silence Their Critics. This is how we find ourself on a dilemma. Refers to University of Wollongong, defamation law used to be an attempt to balance the private right to protect his reputation out of public right for freedom of speech. Yea actually anytime you find someone comment radicoulusly and injures someone's reputation, it can be defamatory. In Indonesia, defamation cases are very likely, usually invoked by powerful people. CNN reported, based to the data of Southeast of Asia Freedom of Expression Network, defamation case rising, there's total 97 defamation case from 2012-2015. Moreover, the people convicted of defamation crime escalated after parliement enacted UU ITE in 2008. Not only private powerful citizen, defamation law allow public officials to bring criminal charge against individual or people who criticized them, or we can say, "injures his reputation." Known, three activist from student coallition in Tasikmalaya put on trial in 2009 after held an anti-corruption demonstration related to corruption case that charge to local education official. In 2012, Tukijo, A farmer was convicted of defamation after asked and argued with local officials about land assessment. Remember Prita Mulyasari? well known controversial case of defamation. Prita were jailed for 12 months after sending email to her friends related to medical treatment she recieved. Bersihar Lubis, a veteran journalist, also convicted of defamation after criticizing decisions of attorney general to ban high school history text book. Not to mention artist defamation case, but they aim report the case for "critics shock." Truth is not a defense when the official finds the content of your statement insulting. We can say it's a chilling effect of defamation. Furthermore, this fact has lead the discussion to the higher level, if defamation laws insult the democracy. What do you think? CQ Researcher, 2012, Issue In Comparative Politics, Sage CQPress: London. Yohannie Linggasari, 2015, Ratusan Orang yang Hanya Curhat Terjerat UU ITE, CNN Indonesia. HRW, 2010, Indonesia: Repeal Arcane Laws That Criminalized Criticism. mungkin harus di perjelas dan di breakdown lagi mengenai hukum mengenai penghinaan, Fitnah, maupun pencemaran nama baik ini. jangan sampai itu justru mencederai demokrasi, alih2 orang mendapat keadilan atas yang mereka alami. justru mereka yang mendapat serangan balik dengan pasal2 yang disebut kan diatas. setuju yo.. tapi karena sangat subjektif jadi sulit juga kayaknya kalau mau dibreakdown..
naudzhbillah..mungkin diam dan biarkan Allah menyelesaikan kebenarannya.